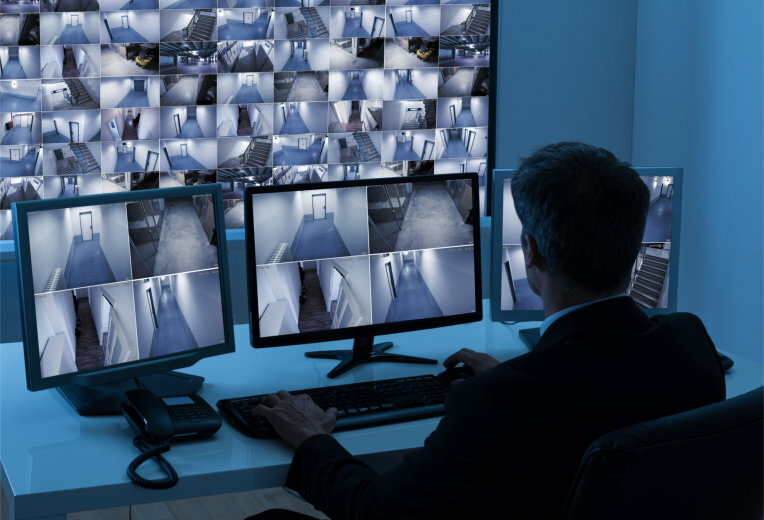 Our remote monitoring solution links your CCTV system directly to our partner remote monitoring station (RVRC), allowing round-the-clock surveillance and monitoring of your premises. Once the system is set images are transmitted from the CCTV cameras to the RVRC. Within seconds of system activation, a camera will focus automatically on the cause. Simultaneously the system will transmit real-time images from the camera to the RVRC. At the RVRC, specially trained and experienced operators have complete control over the system, to identify whether the system has been activated accidentally or by criminal attack. As the system incorporates full audio facilities, operators can give verbal warnings to potential attackers or assistance to genuine visitors to the site. The operator will make a rapid assessment of the situation and take the appropriate action, such as notifying the police or designated key holder. False alarms are eliminated as all system activations are verified, thus ensuring police response if required. All Sygma monitored solutions are designed to comply with the British Standard 8418 - an outline of which can be found below. BS8418 is the standard for detector activated remotely monitored CCTV systems in the UK. It was first published in 2003 and soon became endorsed by the Association of Chief Police Officers (ACPO) in their security systems policy and as such is the only recognised way of obtaining a Police URN for such CCTV systems. BS8418 has undergone a review, which is a formal procedure that occurs every five years for a British Standard. This review is conducted with industry key stakeholders, which include BSIA, and takes account of advances in technology, experiences gained in the application of the standard and other influencing factors to make it a more useable and beneficial standard. This user guide aims to provide you an insight into the benefits of a remotely monitored detector activate CCTV system and highlights the considerations you should make prior to purchase. Such a system will in most cases, assist in deterring criminal acts BEFORE they occur.